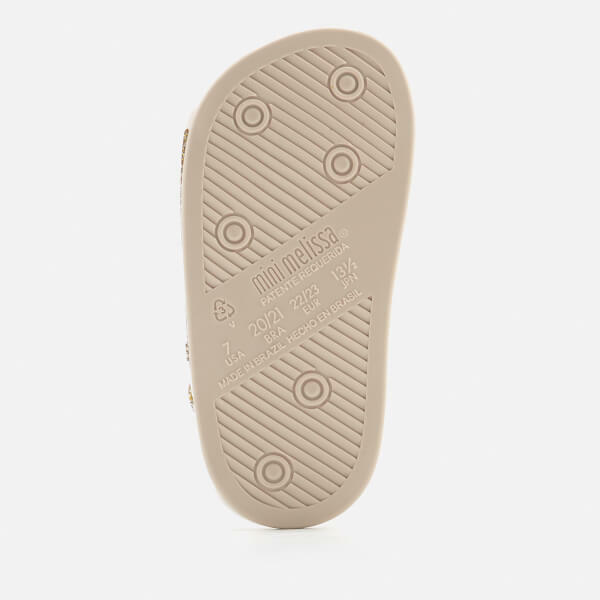 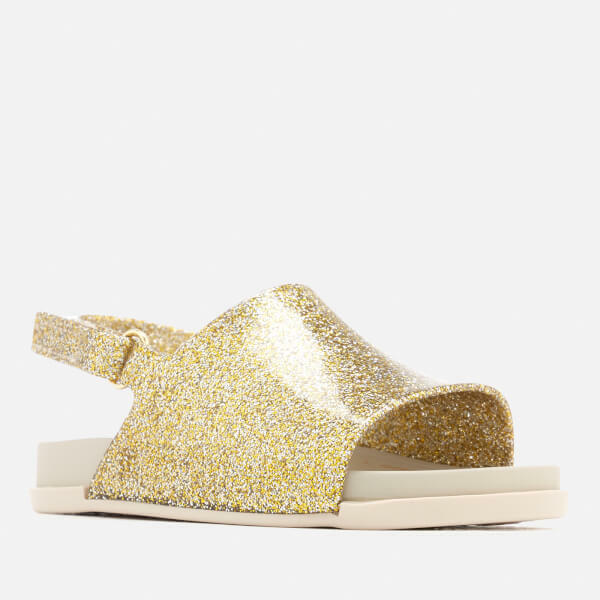 Kids' ‘Beach Slide’ sandals from Mini Melissa. 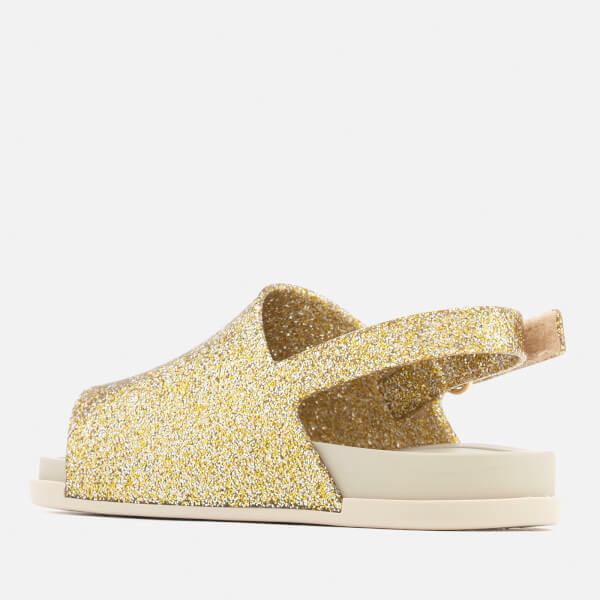 Crafted from soft, flexible rubber, the sandals comprise a slip-on style with Velcro fastening to the heel. 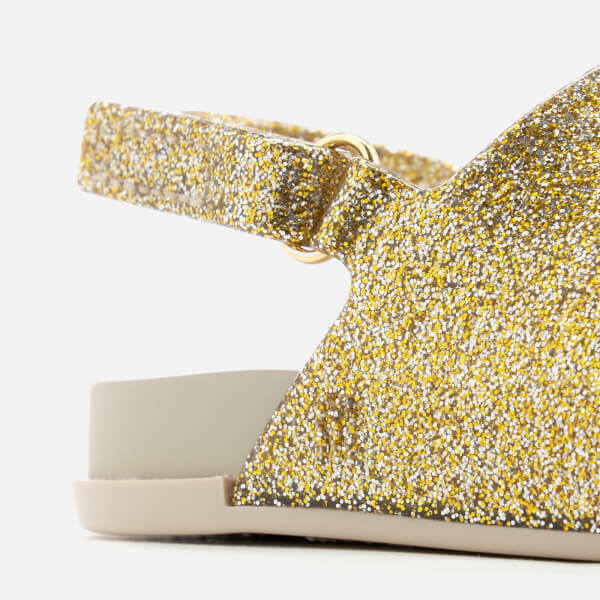 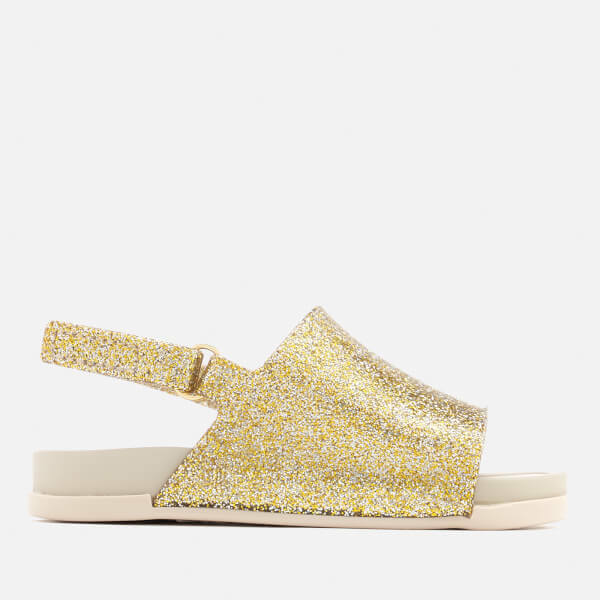 Showcasing a gold glittery design, the shoes are set upon a textured outsole for maximum grip and stability.